When you look at what else is based on the Touareg, it's easy to see why it's the best SUV ever. Volkswagen revealed the first Touareg back in 2002. Although no one realized it at the time, VW had just built its most important model of the 21st century. Some people may say that the Veyron was the most important car that VW built, and in terms of being a technological masterpiece, it was. The Touareg was so much more because not only was it technologically brilliant, but also became the basis for several models that would end up saving every brand in the VW Group. This SUV may be the greatest car that VW has ever built, and here's why. Let's start off with the actual Volkswagen Touareg. The SUV is currently in its second generation, which began in 2010. The Touareg is in need of a refresh, and its nearly $50,000 base price makes it very overpriced. VW has solved this price issue with the new Atlas, but the Touareg is still a great SUV. 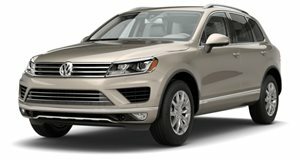 Even though it isn't that competitive right now, the Touareg has spawned some amazing models over the years. There was a 6.0-liter W12 version that borrowed an engine from the Phaeton and Bentley Continental. The US never received this car, but we did get a V10 diesel version that was powerful enough to tow a Boeing 747 on an episode of Fifth Gear. The V10 diesel version was great, but Europe got an even better version of the Touareg called the R50. The Touareg was just the third VW model to get the R treatment after the R32 Golf and R36 Passat. The R50 came with a 5.0-liter V10 that produced 345 hp and 627 lb-ft of torque. The car also came with 21-inch Omanyt wheels, sport-tuned air suspension, and decorative 'engine spin' finish interior trim inlays.The R50 was the best looking Touareg model, and we wish that it was available in the US. The Touareg certainly had some awesome variants over the years, but it is the other models that are based on the Touareg that really prove how great this SUV was. When Porsche first announced it would build an SUV back in 2002, enthusiasts were outraged. Porsche was supposed to be a company that only built sports cars, not practical SUVs. The Cayenne ended up being a sales success that saved the Porsche brand. 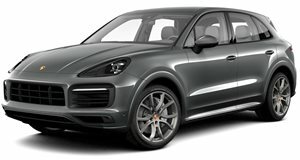 The Cayenne is now referred to as one of the best driving SUVs in the world, especially in Turbo and GTS guises. It's amazing to think that one of the best driving SUVs in the world is based on the lowly Touareg, but that's a testament to the versatility of the car's platform. Without it, the Cayenne would have been a failure. 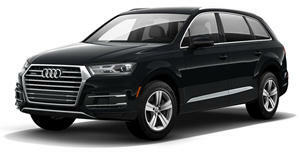 While perhaps not as game-changing as the Porsche Cayenne, the Audi Q7 is another awesome SUV based on the Touareg. The Q7 has had some awesome variants over the years, including a V12 diesel version with the engine from an Audi R10 race car. The V12 produced 490 hp and 790 lb-ft of torque, which could rocket the SUV to 60 mph in just 5.5 seconds. Audi has also recently revealed the first SQ7, which is powered by a tri-turbo diesel V8 with 435 hp and 664 ft-lb of torque. This brute of an engine can get the SQ7 to 60 mph in 4.8 seconds, which is faster than the old V12 Q7. The Volkswagen Touareg is so good, that the company is now able to sell it for over $200,000. The base Touareg may be overpriced, but not when you consider that it serves as a base for the Bentley Bentayga, which starts at $230,000. The Bentayga may have a 600-hp W12 and enough leather to make PETA have a heart attack, but it's nearly five times more expensive than the humble Touareg. Bentley has managed to turn the Touareg into one of the most opulent status symbols in the world, which is an impressive feat. Still, the engineers at Volkswagen need to be given credit for building such an amazing platform for Bentley to utilize. The final display of the Touareg's greatness has yet to be fully revealed in the form of the Lamborghini Urus. Lamborghini hasn't made an SUV since the LM002 in the 1980s, but the company's future success hinges on this this upcoming SUV. We are actually excited to see how Lamborghini can take the Touareg platform and turn it into an SUV-supercar. We doubt that the original development team for the Toureg ever thought that their work would be the basis for a Lamborghini, but it proves that the Touareg is the most well-designed SUV of all time.